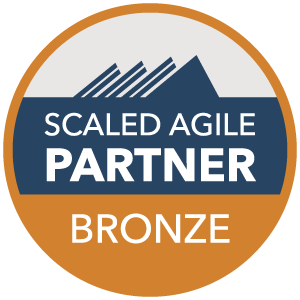 ScaledV is proud to announce that we have been chosen to partner with Scaled Agile Inc, from Boulder, Colorado in USA, to host the inaugural presentation of the internationally-acclaimed SAFe® SPC (Scaled Agile Program Consultant) training program to be held in Singapore on 01-04 April 2019. The SPC course fee around the world is set at S$ 4190. Early Bird: There is an early bird price of S$ 3910 valid for bookings made by 01 March 2019. Team Rates: Special prices are available if you have teams to train. For teams of 3 or 4 the rate is S$ 3980 per person. For teams of 5 or more the rate is S$ 3875 per person. Only one category of discount can be applied. Early bird cannot be claimed if you are claiming team rates. Payment: An invoice will be sent to you for the course fees. This can be paid by direct bank transfer or through online* option below. Payment is due in full prior to course attendance.